Our Mission: To save lives by meeting the most critical needs in our communities and investing in breakthrough research to prevent and cure breast cancer. Komen Charlotte is delighted to provide community members with breast health information through speakers, presentations, breast health tables, and educational materials. Our outreach team and our dedicated Komen Education Ambassadors aim to accommodate all request that are received in a timely manner. Community engagement is important to us so we can educate about breast health, breast cancer and the importance of early detection! Breast health presentations are conducted by the community outreach coordinator and Komen Charlotte Education Ambassadors. 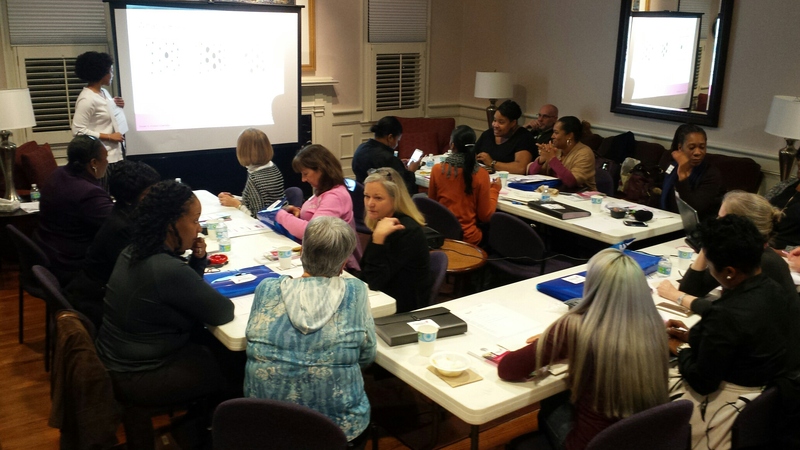 Our Ambassadors are trained, skilled and enthusiastic volunteers who attend presentations and events to educate the community through free breast health presentations and breast health tables. Please note that only requests from within our 13-county service area can be considered. Also, it is our policy to decline invitations to participate in events which charge a fee for non-profit organizations. Health fairs/breast health tables may be requested for a variety of events in different settings. 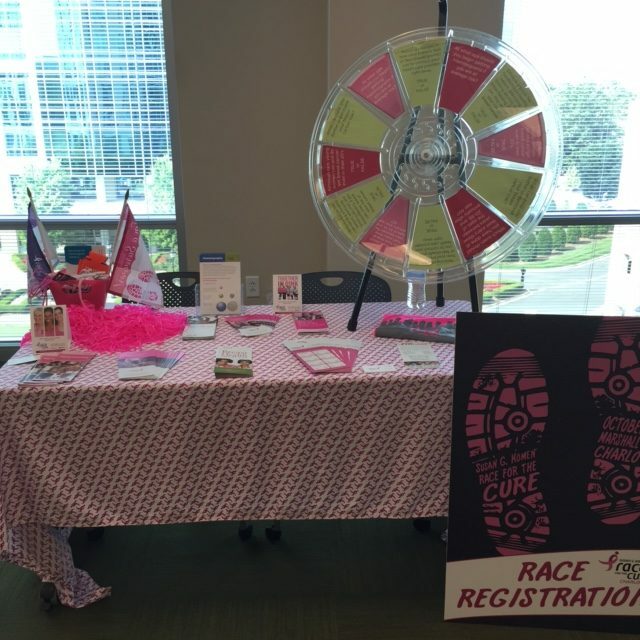 Komen Charlotte’s breast health tables may be requested for health fairs, informal and formal events, presentations, community events, and much more. To request a speaker, breast health presentation, breast health table, or educational materials at your organization, event or health fair, please fill out this form at least three (3) weeks in advance of your proposed date. We will try to accommodate all requests, however fulfillment of the request is not guaranteed and is based on availability.